Can Health Coaches Really Help With Weight Loss? Although most health coaches do not fall in the category of qualified healthcare professionals, they can supply you with the much-required motivation and support that will help you maintain a healthy lifestyle. While there is no magical formula that will help you in successfully losing weight, a new study suggests that health coaches play a vital role in weight loss. Although most health coaches do not fall in the category of qualified healthcare professionals, they can supply you with the much-required motivation and support that will help you maintain a healthy lifestyle. Participating in a discussion that will help you transform your life in a positive way is enriching indeed. By sharing your goals with someone who is supportive and encouraging, you will feel your goals are more achievable. Researchers from the Miriam Hospital`s Weight Control and Diabetes Research Center in Providence conducted a controlled pilot study to verify the impact of health coaches, mentors, and peer coaches on 44 obese participants. The participants were enrolled in a weight loss program. They had to practice in a group and meet 12 times over the course of 24 weeks: every week for the period of first six weeks; every two weeks for the period of the following six weeks; and monthly meetings thereafter. The subjects were either assigned a professional health coach, a fellow group member (peer), or someone who had lost a considerable amount of weight (mentor). After 24 weeks, all three groups successfully lost a considerable amount of weight, but participants who worked with a professional health coach or a peer shed 9% of their total body weight, and 6% of those participants who communicated with a mentor lost 6% of their total body weight. This number was significant because this weight loss helped participants fight obesity-related issues such as diabetes and heart disease. Interactive health coaching interventions have also been researched and studied, in order to determine how effective they are in achieving weight loss in obese adult employees. A report published in 2010 found that they have indeed turned out to be effective. They teach the principles pertaining to behavioral modification and help a person overcome the psychological barriers that are barring him or her from achieving their weight loss goals. They convince their clients to make positive and permanent changes to their benefit. They help their clients in addressing various behavioral factors and habits that influence a wide range of issues such as stress, smoking, and physical inactivity. From an overworked executive to a first-time mother trying to make adjustments to a life with the newborn, health coaches motivate people and help them in leading a positive and normal life. A 2012 study, sponsored by the National Institutes of Health and published in the online edition of the journal Obesity, describes the vital role played by personal health coaches in helping people shed weight. They can help you think positively, and help you feel charged up and motivated for a positive and healthy life ahead. "Employee weight management through health coaching". 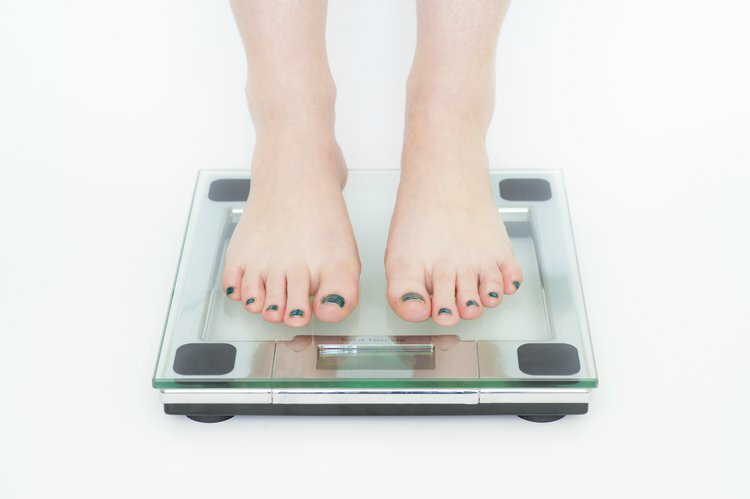 Eating and Weight Disorders. March 2010. PMID 20571321. "Directive and nondirective e-coach support for weight loss in overweight adults.” Annals of Behavioral Medicine 41 (2): 252–63. April 2011. doi: 10.1007/s12160-010-9240-2.PMID 21108032. Adelman, A. M., & Graybill, M. (2005). Integrating a health coach into primary care: reflections from the Penn State Ambulatory Research Network. The Annals of Family Medicine, 3(suppl 2), S33-S35. Lanese, B. S., Dey, A., Srivastava, P., & Figler, R. (2011). Introducing the health coach at a primary care practice: impact on quality and cost (part 1). Hospital topics, 89(1), 16-22. Bennett, G. G., Herring, S. J., Puleo, E., Stein, E. K., Emmons, K. M., & Gillman, M. W. (2010). Web‐based Weight Loss in Primary Care: A Randomized Controlled Trial. Obesity, 18(2), 308-313. Leahey, T. M., & Wing, R. R. (2013). A randomized controlled pilot study testing three types of health coaches for obesity treatment: Professional, peer, and mentor. Obesity, 21(5), 928-934.